Smart Choice Heating and Air has many years of history and is now expanding to become one of the best HVAC contractors serving Garden Grove, CA. We have skilled technicians who help customers seek out flexible options to meet any budget. We are available 24/7 to bring high quality service for heating, air conditioning, indoor air quality, and more. In fact, if we’re out and you need other home improvements—windows, roofing, painting, plumbing—we can handle them. Arrange for consultations and a free estimate with us: just get in touch with the contractor who is "Dedicated to Great Service, Clean Air & Happy Homes." Excellent AC services for your home isn’t a luxury—with the local summer weather conditions, it’s a necessity. Amateurs and less experienced technicians cannot offer you the level of services our service professionals at Smart Choice Heating and Air can! We guarantee our work 100% (up to a lifetime full system replacement if you’re not satisfied), and we use the latest developments in cooling technology. When you need a repair, a new AC, or maintenance, expect our technicians to arrive on time and ready to get the job done. Our service technicians are here for you, when you need them, around the clock to help repair your air conditioner when anything goes wrong with it. We’ll send out a technician to your home in Garden Grove—and each of our techs is experienced in diagnosis and finding solutions to troubles. We pride ourselves on the honesty and integrity of our team members, so you can trust that you’ll receive the answers you need to address your cooling emergency. With all the currently available air conditioning systems, it’s easy for a homeowner to feel burdened when it’s time to put in a new cooling system. Smart Choice Heating and Air wants to make it easy for you: we work with the finest and newest AC technology. Our technicians are trained to provide you with the best possible customer service—it’s all guaranteed! They’ll help you choose between "repair vs. replace," and if you do need an installation, they’ll pick the perfect new unit. No contractor can boast of their comprehensive home services unless they also know how to handle the heating aspect of a house. 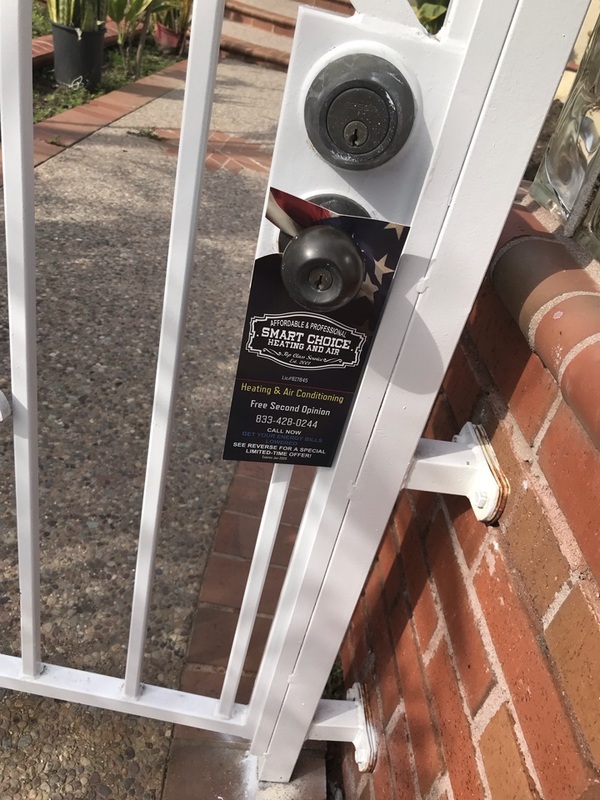 This is important in Garden Grove, CA and throughout our service area: we’re knowledgeable about the best ways to deliver comfort in colder weather without draining excess energy. When you call on us, you can feel confident you’ll receive the heating service (repair, replacement, maintenance, etc.) that is exactly what you need. We back up all our work. Smart Choice Heating and Air wants to be your complete home concierge service, and an important part of this role is ensuring our customers have the cleanest air for their households. What can we do to make your air better? Nearly anything! We install air purifiers, air filtration systems, humidifiers, dehumidifiers, energy and heat recovery ventilators. Plus, we can remediate asbestos and help with insulation. As with our other services, we offer extra premium discounts to service professionals and concessions for people 65+. The old storage tank water heater is still popular with homes in Garden Grove, CA. There’s no reason you can’t continue to use one, as long as it has excellent repairs and maintenance. When the day comes for a new installation, however, our service professionals can also install a tankless water heater or a heat pump water heater. There are benefits to all these newer technologies, and our trained team will help you negotiate them. We do repair and maintenance work as well. Smart Choice Heating and Air is an HVAC contractor with years of experience behind it and big plans for the future. This future can include your local business, since we provide our heating, ventilation, air conditioning, and indoor air quality expertise to the commercial sector as well. You only have to contact us and tell us how we can help your business or home, and we’ll be on the job.